Our mission is to provide a one stop shop for information about the Denver loft and condo real estate market. Being native Coloradans, we have enjoyed working in downtown for many years and with our clients by our sides we have seen just about every loft and condo building in the city. All of this information is trapped in our tiny little noggins and we plan to share the details one building at a time until we have the city mapped for all to explore. Finally, we hope to provide some insight into the downtown market to help our readers make a wise decision when purchasing a loft or condo. So, who are we? 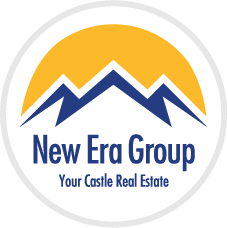 We are a progressive real estate company, the New Era Group and we have a many great agents that work for our company which is located in LoHi (Lower Highlands). If you are considering a purchasing one of the many Denver lofts and condos on the market, give us a ring at 303-991-9878. Or just contact us here! We look forward to working with you! "John, THANK YOU so much for such a great experience on our whirlwind trip! It was such a pleasure meeting you and we can see why you come so highly recommended. Thank you for all your help and expertise in buying our new "dream" home! We are so excited and are so looking forward to our future move. You made it such an easy, relaxing house-hunting trip for us and we thoroughly enjoyed your company! You made us feel so comfortable!!! Thank you again for everything! " "Brian was a great help during my recent home purchase. It was my first home, and he was extremely knowledgeable and patient with all of the questions I would ask - from house specific to financing and beyond. It's been so fun turning this new house into my home!" "We were lucky enough to choose John Stegner to be our realtor when we made our move to Denver from Kansas. Initially we chose him based on his website, but in the end we couldn't have been happier to spend our time with John Stegner, realtor extraordinaire. He was engaging and knowledgeable, and very relaxing to spend the short amount of time we had to find a home with. Our first official contact with John to closing on our great Spire condominium was barely two months. He was a champ in shepherding us through the process and making sure there were no minefields to navigate. You want a great realtor? You want a friendly and personable house-shopping mentor? You will want to call John." "We have been working with Brian for some time now. Brian has been helping us pick up investment/rental condos around the metropolitan Denver County & he easily identifies ones with a great Cap rate. Often before I can do the calculation & tell him which ones I want to see, he has come up with a similar list. His systems are efficient so that most of the paperwork can be electronically handled remotely. The time spent viewing properties is very efficiently utilized. Moreover he is prompt and just a great all round guy to work with. Strongly ENDORSED!"